Committing to orthodontic treatment for your child or yourself is a big investment and one that our team at Cartwright Orthodontics wholeheartedly supports. From the very first consultation all the way to the final removal of your braces and beyond, your family can look forward to an experience that truly exceeds expectations! With over 20 years of experience in this specialized field and a genuine commitment to helping patients of all ages feel right at home, Dr. Gary Cartwright’s approach is second to none. 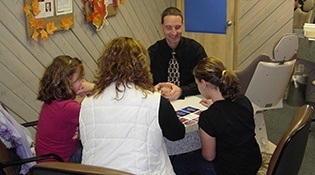 Plus, his services cover a wide range of personal needs, preferences, and goals for smile improvement. Minor teeth alignment, bite transformations, orthodontic emergency assistance – all of these options and much more are available. The last thing our team is interested in is treating patients like they’re just another number on a chart. We have plenty of firsthand knowledge of how your life can be transformed for the better because of orthodontic treatment, and we want both children and adults alike to experience this amazing journey for themselves with our guidance! Dr. Cartwright will always listen closely to your concerns and help you have a positive, fulfilling experience here – guaranteed. While braces are still a common rite of passage for many junior high students, far too many adults incorrectly assume that they’re too “old” to improve their own smile’s appearance and function. This isn’t true at all! 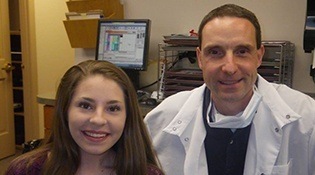 Our team loves working with patients of all ages and helping them find the orthodontic option that fits their lifestyle best and will create the stunning changes they have in mind. Dr. Cartwright earned his board certification from the American Board of Orthodontics in 2005, proving his commitment to continuing education and excellence in the process. 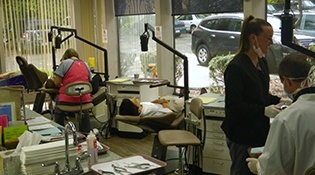 The Board Certification process is voluntary and is not required for an orthodontist to practice in the United States. To achieve this honor, orthodontists have to complete a written and oral examination, present previous successful cases and undergo constant reevaluation to ensure the highest of standards. The implications here are clear – patients can trust their smile in Dr. Cartwright’s hands without worry. Despite Dr. Cartwright’s excellent credentials, he couldn’t do all of this without his dedicated staff. Our team features scheduling coordinators, treatment coordinators, assistants, and a billing and insurance coordinator who will be happy to help you navigate every step of the treatment process. They take pride in making this experience pleasant and rewarding for every patient! Most major dental insurance plans will at least cover a portion of the cost regarding your orthodontic treatment. Our team will be happy to file claims on your behalf so that these benefits are maximized and none of your deserved monetary support is left on the table. If you have any questions or concerns about this process, don’t hesitate to ask!